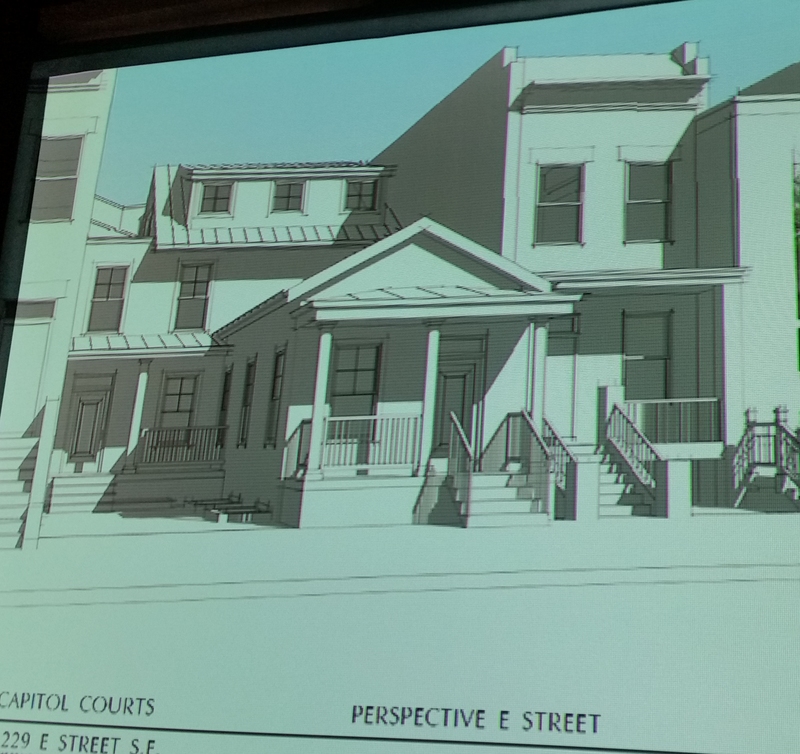 SGA Architect’s revised plan for preserving the Shotgun House approved by ANC6B on Tuesday night. 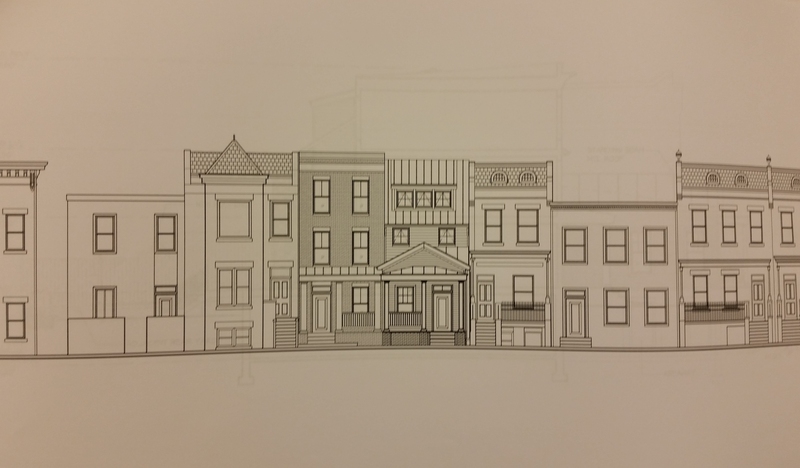 SGA Architect’s more controversial plan for preservation of the Shotgun House submitted to ANC6B Planning and Zoning Committee on July 1. Sassan Gharai of SGA Architects says the new design “is more in keeping with the character of the block.” Click to enlarge. 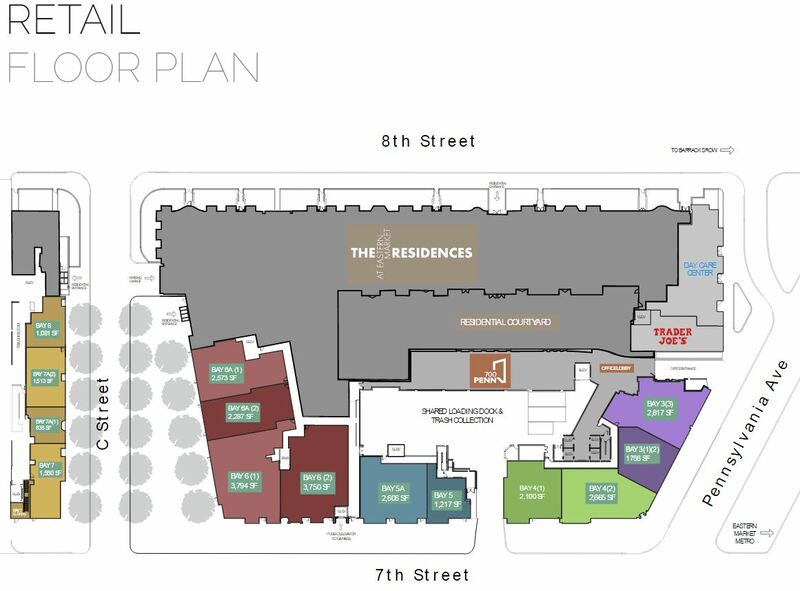 At the full ANC6B meeting on Tuesday, July 12, the revised plans were well received and the Commission approved the design unanimously. 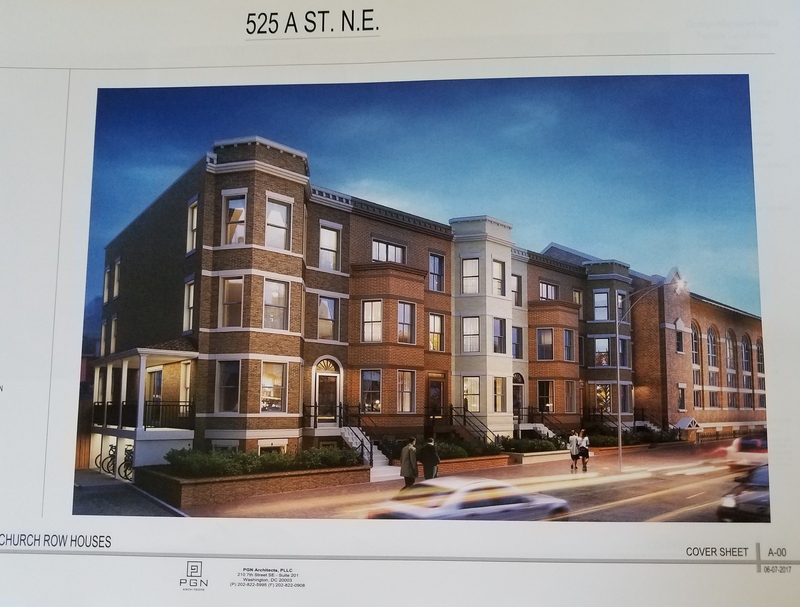 Gharai also informed the ANC that he had incorporated suggestions of members of the Planning and Zoning Committee regarding the design of the 119 residential unit project (with first floor retail) in the 1200 block of Pennsylvania Avenue, SE. 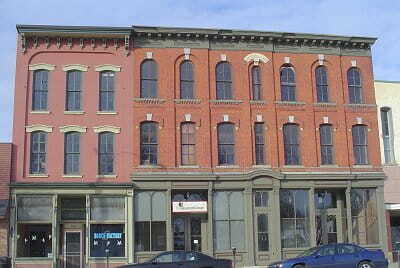 The historic preservation designs for that plan were approved without objection earlier in Tuesday night’s session. 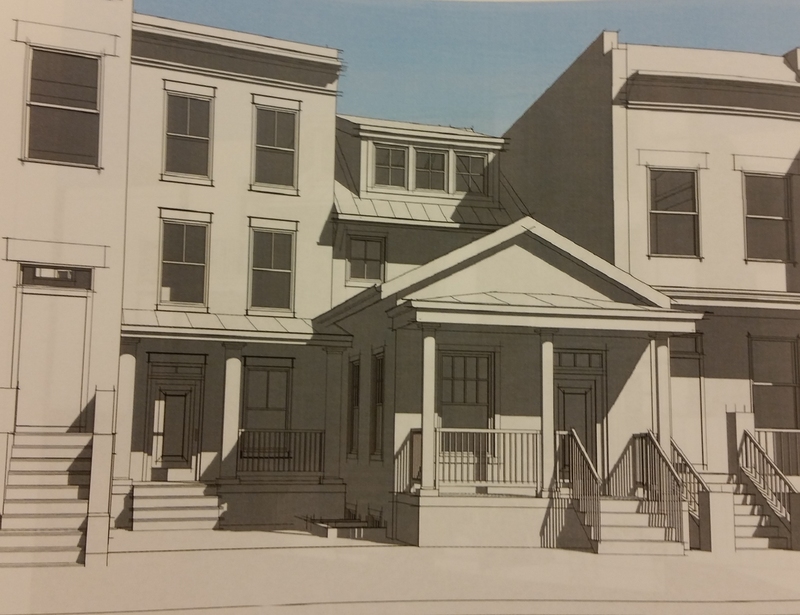 Work could begin on the Shotgun House before the end of the year, if HPRB signs off on it and permits can be obtained. How is THAT preserving the shotgun house? 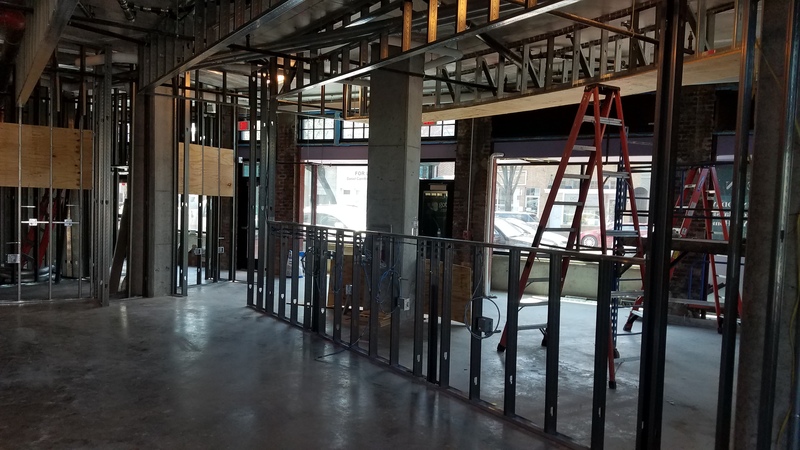 They’re adding stairs, windows, and a functioning roof! Next thing you know, they’ll be adding indoor plumbing! The three story, $1.1 million pop-back does a marvelous job capturing the truly historic nature of Shotgun House’s impoverished past. The HPRB shouldn’t hold back on its self-congratulations for this effort.